While many Super Bowl fans focus on things like player statistics, team strategies and nacho recipes, we data nerds prefer to analyze demographics. This Sunday, the New England Patriots will play against the Los Angeles Rams in Super Bowl LIII. 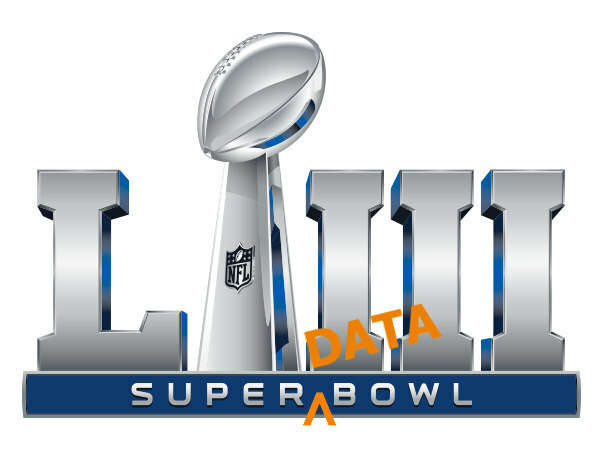 But first, they will compete in the thrilling Social Explorer Super Data Bowl. For our big game, we at Social Explorer dig into data from the teams’ hometowns and histories. We will assess fandom, snack power, and related measures using Census and American Community Survey data. The following maps show the current population density of each team's hometown—the Boston metro area and the Los Angeles metro area. The more local fans, the more cheering on game day. According to the 2017 American Community Survey, the Boston area had 4,836,531 residents while the Los Angeles area had 13,353,907 residents, giving the Rams close to a three to one advantage in fan strength. Zoom in and click around to see more detailed views of both teams’ areas. According to the 2017 ACS, Boston area households had higher median incomes than Los Angeles area households ($85,691 compared to $69,992). While Los Angeles area household incomes were 16 percent higher than the national median, Boston area median household incomes were 42 percent higher. Patriots fans could potentially afford more decadent Super Bowl snacks. Both cities have high median home values with Los Angeles homes valued at nearly three times the national median ($617,100 to $217,600) and Boston homes valued just over twice the national median ($540,600 to $217,000). So, Patriots fans may end up having even more money available for game day food and drink after paying their mortgages. Explore the site more to impress your friends on Super Bowl Sunday with data on the Atlanta venue, the Rams' old hometown of St. Louis and the almost contender of the New Orleans Staints. Have a great gameday!